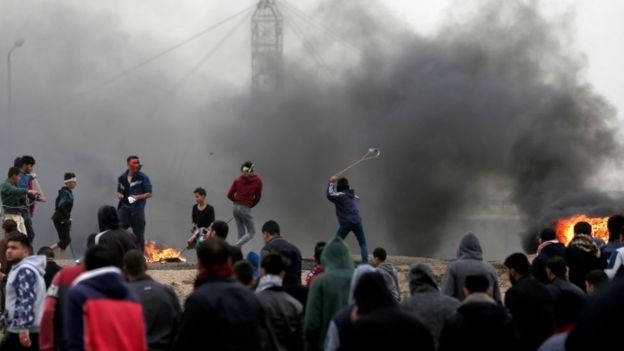 AKIPRESS.COM - Tens of thousands of Palestinians are demonstrating in Gaza to mark the anniversary of the start of weekly protests on the boundary with Israel, BBC reports. Demonstrators threw stones and burned tyres, with Israelis returning tear gas and live fire. At least one protester has died, Palestinian officials say. Some 189 Palestinians and one Israeli died up to December 2018, the UN says. A UN inquiry says Israeli soldiers may have committed war crimes during the protest marches - a charge Israel rejects.